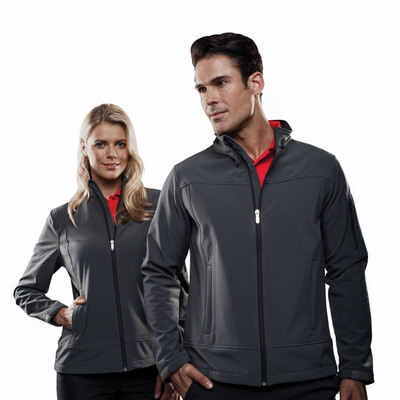 95% Soft-Tec, 5% Spandex outer / Fleece with matte finish. Set in sleeves. Main and hand warmer zippers in contrast colour. Internal storm flap. Soft tricot zip protector. 2 zippered hand pockets. Zippered Left sleeve pocket. Self fabric sleeve adjuster with velcro detail. 2 hem toggles and keeper. Invisible decoration zipper on left side. Embossed Sporte device zip pullers. Sporte device on back collar. Brand: TECHNICAL & PERFORMANCE. Material: 95% Soft-Tec 5% Spandex Outer with DWR Treatment. Colours: BLACK | CHARCOAL | FRENCH NAVY. Sizes: S-3XL, 5XL.